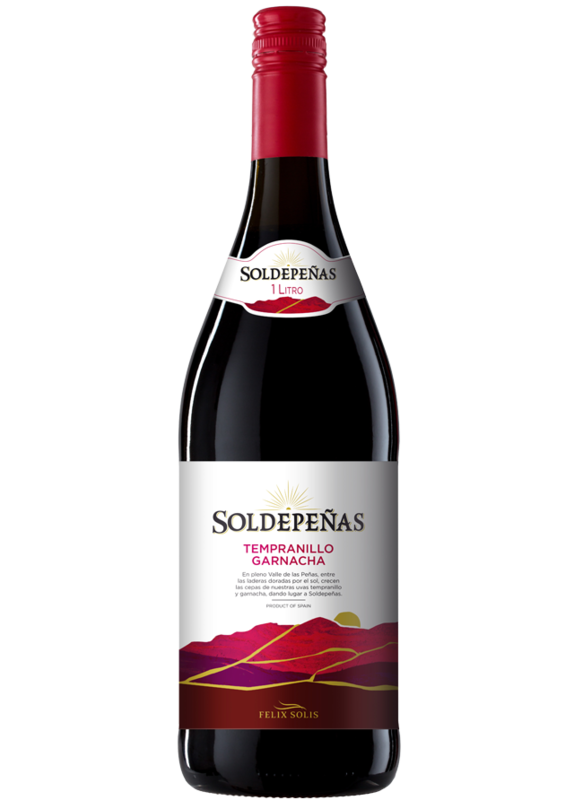 Soldepeñas Red takes its name from the place where it has been elaborated: the sunny Valley of the Rocks, the ancient name of Valdepeñas, by the river Jabalon’s banks. The wine is made from Tempranillo, the indigenous grape from Castilla-La Mancha. Cherry colour with aromas of red fruits. Balanced on the palate, fine, light and soft. Goes well with pasta, rice, meat in sauce or gilled and salads with semi-cured cheese. The grapes undergo strict controls on the vineyards to determine the correct moment to be harvested and transformed into a wine with the right amount of sugar and acidity. The must macerates in contact with skins for 2-3 days. The fermentation takes place in stainless steel tanks for 10 days at 22-24°C to reach the right balance between tannins and fruit.